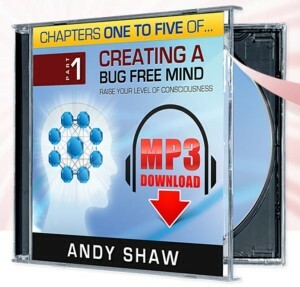 We have had a lot of people ask us about Andy Shaw’s hugely successful “Bug Free Mind” books and audios. In particular, you have been asking if there are any free downloads available. Psssst – DON’T Tell anyone……. Okay, we have a good dig around Andy’s revamped website (it’s now called the Saltori System) and we HAVE been able to track down quite a bit of free stuff exclusively for our readers and subscribers. WARNING: There is a LOT of free content here (Books, MP3s & Videos)!!! a) Click on each link (it will open in a new window) to get through to the download page. b) You can read a bit more about Andy Shaw’s game changing personal growth work, a short review of the 9 free tools listed above, and then get access to them further down this page. 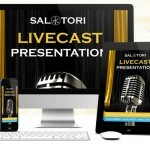 What is Saltori or a Bug Free Mind? Having a mind full of poor programming (bugs), makes it virtually impossible to see any real success with any personal development or self-help program that you might be attempting. So, you MUST clear your mind of your past ‘poor programming’ BEFORE you start any new self-help program (it doesn’t matter whether it’s for the mind or the body). ……and many other areas of our lives. 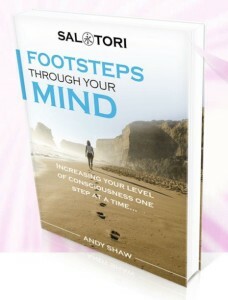 Andy Shaw’s Saltori programs will help you clear your mind of these bugs, leaving it “Bug Free” and giving you greater control over your life. Where do these bugs come from? These bugs can originate from a variety of different sources, but they are mostly as a result of ‘poor programming’ from our past. Any past negativity shown towards us, especially when we were children, is likely to have ‘sown the seed’ that developed into a ‘bug’ which could potentially hold us back for a lifetime. What happens if I have one of these ‘bugs’? And you probably won’t even be consciously aware of these symptoms. Or if you are then you won’t have a clue what’s caused them, or why they keep re-occurring (sound familiar?). Successful Personal Growth has access to all of Andy Shaw’s products and we can say with confidence that they are well worth the investment (of time and money). However, if you don’t want to dive straight into the main products just yet, then the following are excellent versions of what Saltori is all about. PLEASE, PLEASE, PLEASE – TAKE ADVANTAGE OF THESE!!!! These are far too good to be ignored. The fact that they are free makes them a no-brainer. Pick these up and run with them and, when you start to see progress (and you will), then seriously consider the full bug free mind products (we have full reviews of them all – starting here). Okay, let’s now review the freebies……..
We are going to go through each of the free items, to give you an idea of what you can expect to receive. Feel free to ‘pick and choose’, but we highly recommend taking the lot (thumbs up to Andy for giving them away for free). Our thoughts have a crucial role to play in our progress and so it is vital to understand exactly how our mind works (in conjunction with our thoughts), to appreciate how and why it can all go wrong. As mentioned above, many people ‘self-destruct’. This part will help you identify when this is happening to YOU and will help you ‘create’ instead of ‘destroy’. This is vital, but something very few people can actually do. If you can control your ‘mind wandering’ or ‘mind chatter’ then you will be automatically further down the road to success than the vast majority of others. Imagine being able to control how you feel about any given situation. Those previous events that you thought were bad can actually be turned around and might then become the catalyst to actually help you. In our younger years, most of us were fulfilled with happiness (most of the time). Unfortunately, as we get older life provides ‘knocks’ and it’s those knocks that can fill our minds with bugs. Reclaiming your happiness is not the ‘impossible dream’ that you might think it to be. Things that we think are ‘real’ are often not real at all – particularly fears about a future ‘bad event’ happening. And it’s these ‘false fears’ that hold so many people back. They are living life with the hand-brake on. It’s time to free yourself from the “illusion”. Claim this amazing 6-part audio download by hitting the button below. Where are YOU on the happiness scale? Our attitudes are probably the number 1 factor in determining our results. BUT, our attitude is mostly an unconscious effort. Therefore, we don’t always know how our attitude is actually affecting our results. How often do you say “That person’s got such a bad attitude”? When you say that, do you think ‘that person’ even realizes that they have a ‘bad attitude’? No they don’t – because it’s largely subconscious. No-one really wants to deliberately live life with a bad attitude. This assessment will help bring your current attitude to your conscious mind. Once it’s there you will be in a much better position to make appropriate adjustments to it. Most of us are just drifting through life, wondering where the hours, days, weeks, months and even years go. The problem most people have is that they are not living a life where they are fully aware of where their mind’s at. This part of the quiz will teach you that your past failings and success have all been good. They have actually provided the experiences you need for the next stage in your life. Okay, we shouldn’t need to explain how and why confidence is crucial to your success in life. But just how confident are you? You could be in for a nasty shock, or a pleasant surprise when you take the assessment. The feeling of fulfilment has a massive impact on our lives. If you are feeling fulfilled, then you will be happier. And if you are happier this will attract more success to you. BUT fulfilment can mean different things to different people. There are many ‘successful people’ with all the trappings of success, who feel totally unfulfilled. This is sadly why so many so-called ‘successful’ people take their own lives. On the flip side, there are many people who seemingly have nothing in their lives, who are totally fulfilled and, as a result, are totally happy. Your outlook is closely linked to your attitude. However, it is an easy one to work on, once you know exactly what your outlook on life is. The key to this is to avoid thoughts that can, and do, damage your life. There is a correlation between your connection with others and your happiness. Yes, you can be alone and happy and, conversely, you can be surrounded by others and not be happy. But understanding where you are will massively help you to a happier life. The whole point of this very comprehensive assessment is you bring into focus exactly where you are and to stop the aimless ‘drifting through life’ that many people experience. Warning, this assessment is very comprehensive. You want accurate results right? This isn’t just a 10 question magazine quiz. A LOT of thought has been put into this, for results that you can trust. There are 40 questions, so it will take you a good 10-15 minutes to complete. Get yourself a coffee and enjoy the results. Click on the button below to make a start. The whole world teaches you WHAT to think. Saltori teaches you HOW to think. 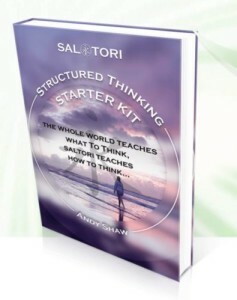 Andy Shaw’s famous ‘No mind’ technique is at core of Saltori structured thinking. If you want to take control of your mind (giving you a massive competitive advantage) then you must first lean how to clear your mind of all the day to day ‘mindless chattering’. You are probably already aware about the power of your subconscious mind. But can you really communicate with yours? Once you can do that then the possibilities are turned up to astonishing levels. Do you know what life’s biggest problem is? If you don’t know then how are you going to fix it? This section shines a massive light on it….. the rest is up to you. In this section you are going to learn some great structured thinking techniques. You will find out exactly how your mind works and how it could well hold the missing piece to success that you’ve been looking for. Make a start on a much more efficient and effective way of thinking by clicking on the button below. This is really powerful. 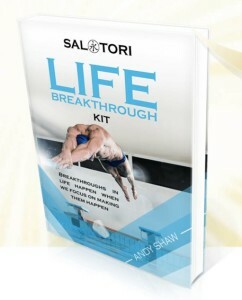 The Life Breakthrough Kit is a complete, immersive and easy-to-use introduction to the world of Saltori Structured Thinking. Again, this is so vital to ‘opening the door’ to success that Andy Shaw has included this brilliant technique in this free offering too. This section follows on beautifully from when you have mastered the ‘No Mind’ technique. One of the biggest problems we have in designing our life is actually knowing what we want from our life. These simple steps will help you clarify what it is you actually want. Anyone who has followed the Law of Attraction knows that you need to be in a positive vibration to experience positive outcomes. And it all starts with your own happiness. Imagine if there was an instant happiness switch. Would you turn it on? Of course you would. How much would you pay to have such a switch? You don’t have to pay anything with part 3 of this Life Breakthrough Kit. All through our lives we are taught what to think. That is a big mistake, we need to be taught how to think. In this part of the kit you’ll learn how your mind works and how to use really simple thinking structures which will enable you to finally ‘think straight’. Are you looking for a breakthrough in your life? Click on the button below and claim your life breakthrough. Click on the button below, sit back and watch Andy talk you through the Life Breakthrough Kit. This is an incredible 63-part package. It is actually delivered in well-structured articles, but you’ll also have the opportunity to get the audio versions (about 10 minutes each part), for a ridiculously low cost. At the time of writing, we are only half way through this one ourselves. You get the links emailed to you every day or two. It’s deliberately drip-fed so you don’t get too overwhelmed. We are just going to tease you with the titles of each footstep – they should be compelling enough (especially numbers 32 & 33). INTRO: Footsteps Through Your Mind… It begins. Virtually every person on Earth has forgotten how to do this. What Value Can You Create? You Are A Naturally Successful Person… Despite What You May Think! How to control your mind’s awesome power? The secret to massive change and getting ALL you want? A plan for your life that’s 1,000 times better than the current plan. Discover The TRUTH About Your Potential Genius. Avoiding The ILLUSION of Progress. The 2nd most precious gift I’ve given my children. Slow down and smell the roses. Saying YES more to the present moment. The Law of Attraction – So how do we create? Doing Less & Creating MORE! – What does that mean for hard work? Achieving Harmony – Summary of Thinking Techniques. The short cut in disguise. How to communicate with your subconscious mind & get what you design. Solving invisible problems… Part 1. Solving invisible problems… Part 2. The Secret to Releasing Your Limitless Possibilities. The solution to a problem you just can’t seem to fix. Feeling the natural order of things… Part 1. Feeling the natural order of things… Part 2. Just how important do you think your thinking is? Manifesting $70 and having fun doing it… Part 1. Manifesting $70 and having fun doing it… Part 2. The Secret to ACTUALLY getting out of debt (or whatever you want rid of!). How motivation will probably damage your life. A sort of gentle reminder. Some will, some won’t, so what, next. The price of anxious thought. Whatever happens is the best possible thing. Allowing others to be as they choose to be. The dark side of competing. What makes great people great? The secret to keeping going. How to avoid being held back by our current level of understanding. The value of your curiosity. Knowing Is Power, Belief Is Weakness. How being a big fish in a little pond kills your true potential? You must get good grades… Or your life will be bad! I’ve failed… I’m a failure. Staying with the problem longer. The ramifications of ill thought through action. This absolutely fantastic give-away has absolutely everything. If you only download one of these free items then make it this one. Click on the link below. We have been through the whole of ‘Creating A Bug Free Mind’ and fully know the power of this book. Andy Shaw gives away the 1st 5 chapters in PDF format (the whole book is in paperback) and these free chapters provide an amazing insight as to what is in the rest of it. You actually get 6 chapters, because you get the introduction as well (which is also well worth a read). Even in the introduction of CABFM you get to learn how your mind works and the correlation with our thought process. Things are not always what they seem. As Andy Shaw himself says, “You’ll see how things, which we think are solid, are actually sand”. 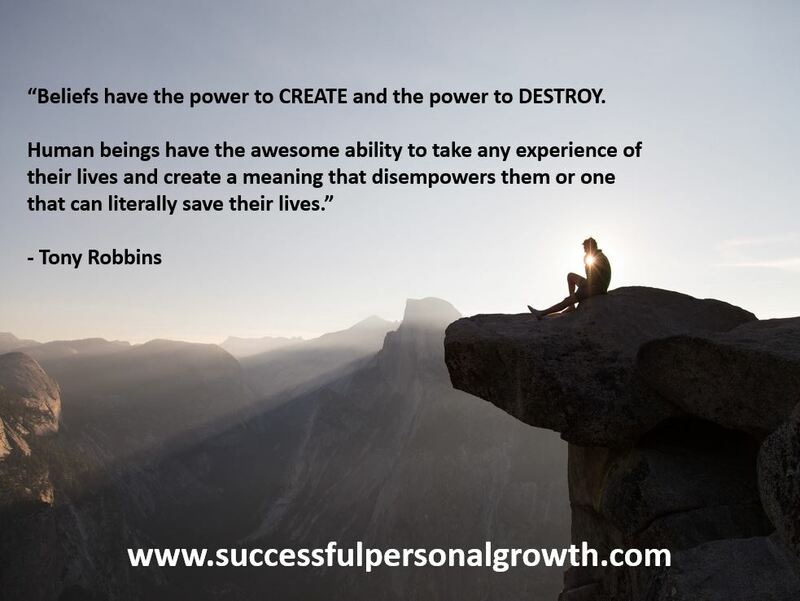 We can create our lives or destroy them. The process is surprisingly the same. But once you notice the process in action then you are in a much stronger position to turn your ‘destructive’ habits into ‘creating’ ones. Can you think about nothing for the next 30 seconds? No – you have no chance in doing that. Your mind will immediately wander off and you’ll start to ‘think about stuff’. You simply CAN’T control your mind. But if you can’t control your mind for even 30 seconds, how can you possibly expect to control your life? Good thoughts lead to a good life and bad thoughts lead to a bad life. It’s as simple as that. But what is not simple is actually being able to control our thoughts….. or is it? The next step up from controlling your mind is to be able to control your feelings. We are vibrational creatures and these vibrations emanate from our feelings…. and like attracts like. So if you have bad feelings, your energy levels are low and your vibrations are low….. And you’ll attract more of the same. But what if we could control our feelings? To be able to feel good, which would raise our energy levels and, in turn, raise our vibrations. Attracting more of THAT sounds a lot more appealing, doesn’t it? Most of us had a seemingly endless road of happiness when we were younger. What we mean by that is that we didn’t sit there regretting our brief past, or fretting about the future. We just lived and we were happier for it. We seem to lose this happiness as we get older – why? And more importantly is it possible to get that happiness back? Yes, it most definitely is. Most of us are living an illusion. Do you even recognize your illusions, or do you think these illusions are actually real? It’s time to free yourself of your false illusions. Click on the button below. 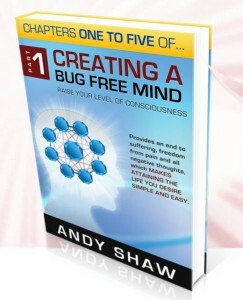 Whilst many people might not be familiar with Andy Shaw’s ‘Bug Free Mind’ work, they will be fully aware of part of this process….. The Law of Attraction – made famous by the movie The Secret. Andy Shaw actually takes this component out of his full program, summarizes it, and then gives it away for free in PDF and mp3 format. That’s nearly 3.5 hours of audios and an 83-page book on the Law of Attraction…. for free!!! 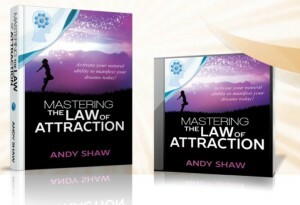 You would be really silly to miss Andy’s advanced interpretation of the manifesting process. Click on the button below. This is a new offering from Andy Shaw. In fact, we didn’t even know it existed until we started investigating for this article. And then we had to delay the article publication until we’d viewed the content. Loading good software onto a computer with a virus is madness. Do you know why learning from an expert success teacher does NOT guarantee success? As we go through life, we lose our natural thinking system and are just told what to think. He also uses a brilliant ‘pond analogy’ in this video, which has been updated from a version we have on another page on this site. It really brings home the problem of not having a structured thinking system. Too many people only intellectually know things – and that is very damaging to their success. Overall, this is a brilliant presentation (which is probably best watched before you download any of the other material). It really explains why you have not seen the success that you crave. Click on the button below and be prepared for a massive “A-ha” moment. We do hope that you really take advantage of these fantastic offerings from Andy Shaw. We honestly believe that they really are the key ingredient to making any personal development or self-help program work. ……Maybe this is what’s been happening to you already and it’s why you’ve not seen the success that your efforts have deserved?